Over the last few years Volvo have really started to bring their styling up to par with the opposition, even if it has been a little bland. 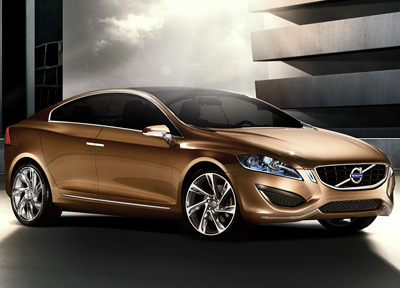 The S60 Concept displays a new styling direction which is far more daring than any previous models from the manufacturer. At the front there are sleek headlights, prominent grilles, and a sculpted hood with integrated air intakes. Down the sides there is a strong shoulder line which runs the entire length of the car and helps define the wheel arches. At the rear are stylish arched taillights and stylized tailpipes. The unusual pillarless door mechanism consists of conventional front-hinged front doors, and innovative rear hinged back doors which swing back and out. Although this feature stands almost zero chance of making it through to production, it's nice to know that the designers and engineers are still coming up with new solutions to everyday problems. 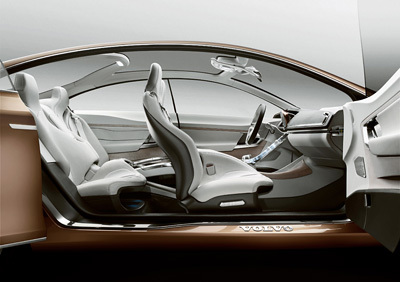 The interior of the Volvo S60 Concept has a light and airy feel thanks to the pillarless side windows and a full glass roof. The use of light colored materials helps to accentuate the feeling of space. 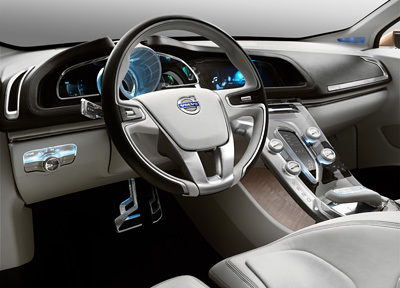 Highlights of the S60 Concepts interior include a floating centre console and an advanced digital dash display. 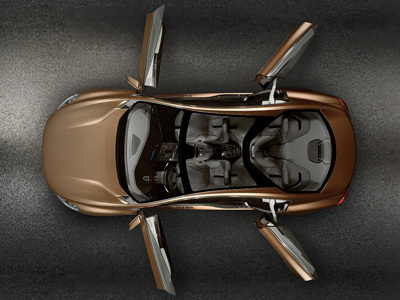 Like all Volvo models the S60 Concept puts safety high up on the list of priorities. 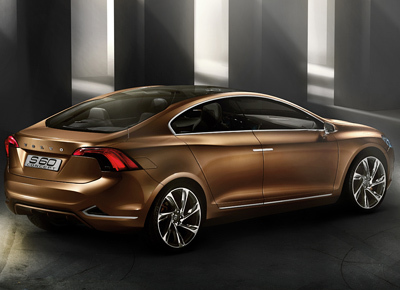 The S60 Concept is the first vehicle to be fitted with Volvo's Collision Warning with Full Auto Brake. This system uses a camera, radar and computer to help eliminate low speed (under 12 mph) collisions, and also seriously reduce impact forces in higher speed accidents. The system will also apply the brakes to maximum effect without driver input if it detects a collision-imminent emergency. 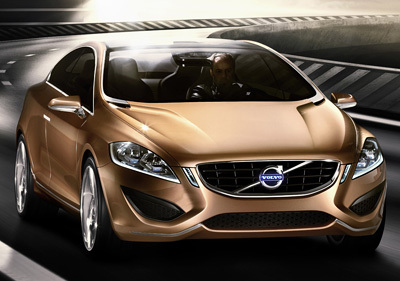 Powering the 2009 Volvo S60 Concept is a GTDi (gasoline turbocharged direct-injection) four-cylinder engine which develops 179 horsepower. This is connected to a Powershift dual-clutch gearbox. The engine is equipped with start/stop functionality and an "DRIVe" economy mode. 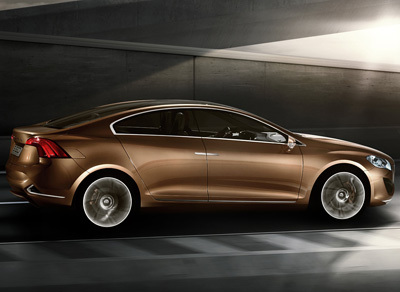 These features help the S60 Concept achieve fuel economy in the region of 47mpg and CO2 emissions under 120g/km.